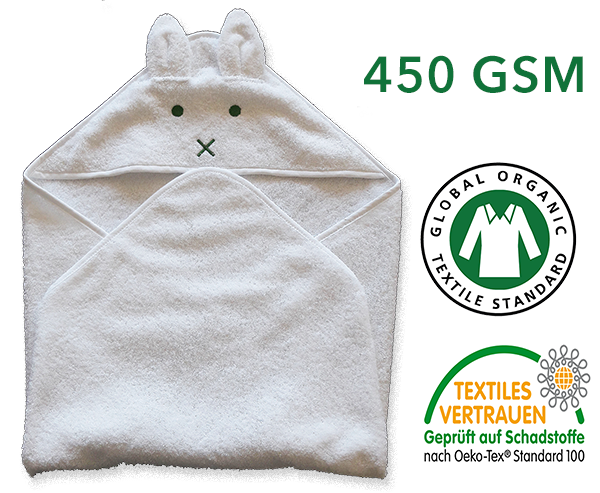 This hooded towel with ears is made from thick and soft GOTS and OEKO-Tex certified Turkish organic cotton. 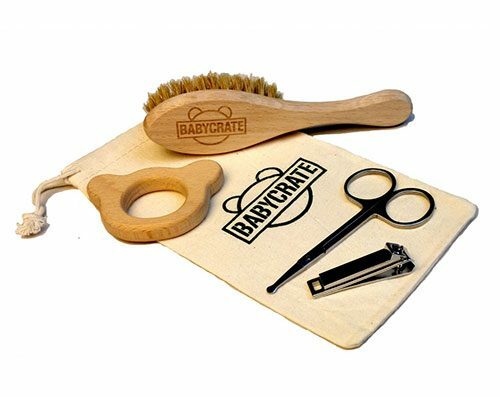 It is super cuddly and cute with a high quality embroidery. 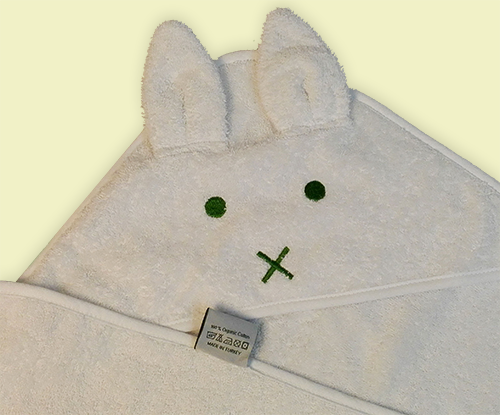 This towel will keep your baby soft and warm. White. 75x75cm, the perfect size for babies. Free shipping to all destinations in Europe.